With the incoming 2019 tax season, people are looking to get prepared. Waiting until the last minute to file your taxes can leave some people stressed and flustered, so get ahead of the curve and cut out unnecessary worry by filing now. It’s important to have a good strategy so you can get it done quickly. We’re going to go over some of the best practices to prepare for tax-filing season this year. Remember, if it gets too confusing you can contact the IRS to receive assistance for filing your taxes! This year, it may be essential. The tax code got a massive overhaul and a lot of people are struggling with the changes. Before filing your taxes take time to go over a few things. Consider how complicated your personal tax situation is. If it gets too much to juggle, consider hiring a CPA to walk you through the process rather than doing it all yourself. The average taxpayer spends about 11 hours filling out the appropriate forms, so make sure you leave yourself enough time to gather and complete everything needed. Doing everything yourself can save money but accuracy is your responsibility. However, hiring someone does not exclude you from liability so make sure you trust whatever method you choose to employ. You will also need to have the right tax ID numbers if you’re a business. You will want to apply for an EIN (Employer Identification Number) before you file your taxes. An IRS EIN application, also known as a Form SS-4, will have all the information you need. If you are just filing your individual taxes or you’re a sole proprietor, a Social Security Number will work. If you fear that you’re going to owe more than you can afford, look below for information about financial assistance for taxpayers. Online filing is far more accurate than doing your tax forms by hand. Most tax filing software includes checks that can prevent you from making serious errors that could delay your refund. It can even protect you from tax return fraud. Furthermore, by filing electronically you can speed up your refund by providing your banking information to the IRS. You won’t have to wait for a check; the refund will appear in your account just like a normal paycheck from your employer. It’s also safer. Sometimes mail thieves look for IRS refund checks in people’s mailboxes during this time of the year. Regardless of which way you do it, you need to have the proper documents before you start. They can be very different if your filing as a freelancer (which uses a 1099 form) vs. if your employer sends you your wage information (a W-2 form). If you’re a freelancer who didn’t make more than $600 last year, you won't receive a 1099 form, but you are still required to report all your income. It will also help to know the common deductions if you run your own business. Knowing what you can deduct legally can save you quite a lot on your final tax bill. 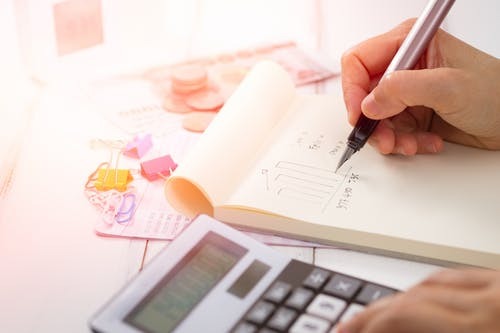 Keep track of your business expenses during the year and talk with a CPA or do research on the IRS website to see what you might be able to subtract. • The Vita Program. The Volunteer Income Tax Assistance program is a community of trained volunteers who help filers with confusing credits for moderate and low-income taxpayers. These sites offer free electronic filing as well as free tax return preparation assistance. • Tax Counseling for the Elderly. If you are over the age of 60 and need free tax help then this is the program for you. The IRS enters cooperative grant agreements with eligible organizations to provide this assistance. It specializes in pensions and retirement issues plaguing seniors. The program uses IRS-Certified volunteers who have usually retired themselves. There is also some extra financial assistance available for taxpayers who aren’t able to pay the full amount due. One such option is a short-term payment plan. This will delay the full amount due for up to 120 days with no user fee. Those who need some extra time can apply for an installment agreement. This longer-term monthly payment plan includes a $149 user fee which can be reduced to $31 if you make payments using direct deposit. If an individual owes more than $50,000, then requesting a payment plan while submitting a financial statement is an option. Something else to consider is an Offer in Compromise. This agreement with the IRS and the taxpayer reduces the amount of tax debt due. Since not everyone qualifies, it’s important to see if it's worth applying. If you're not able to find something that works for you, the IRS has alternatives. Contact them at 800-829-1040 to discuss additional options. These are the best practices to get you prepared for this year's tax season. If you have any questions or are unsure about anything go ahead and call the IRS to get rid of any worry or uncertainty. Filing your taxes doesn't have to be scary. Prepare the right way and filing will be a breeze. Get started today and you’ll have that refund in no time.